Misc. 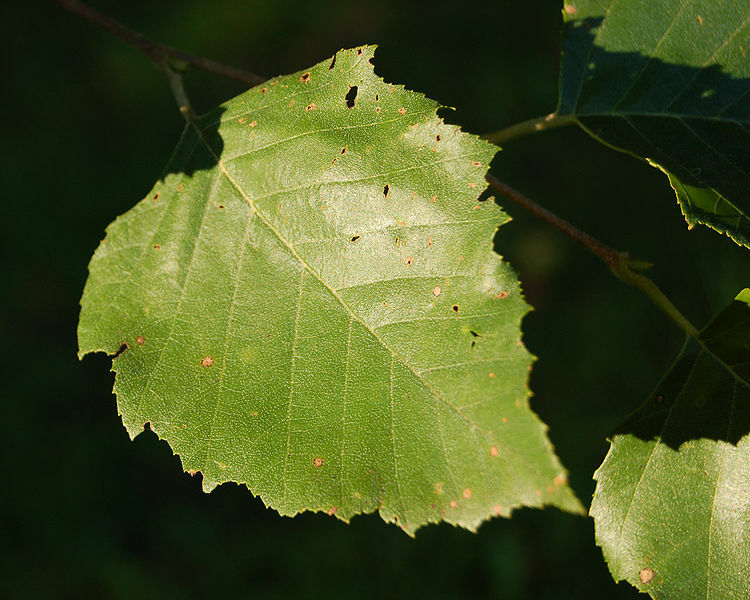 This birch is readily distinguished from the region’s other birch species, the gray birch (Betula populifola), by its dark, strongly-peeling bark (as opposed to light slightly-peeling bark in gray birch) and diamond-shaped leaves (triangular in gray birch). The fact that it ripens in spring makes it especially valuable to wildlife. New growth is browsed by deer. Seeds are foraged by birds, e.g. wild turkey, quail, grouse, and finches.